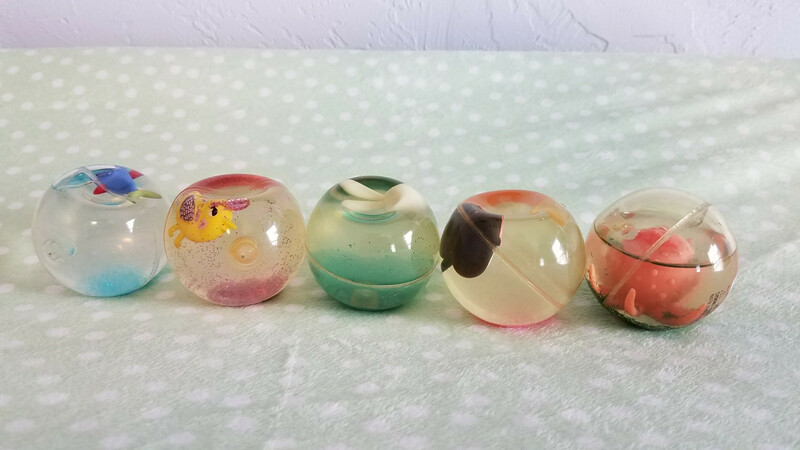 I have a number of toy balls filled with a liquid-presumably water or something else non-toxic. Over about a year, the balls have gone from firm to indented as shown. The water level in one is visibly low but four others have become indented as if some water were removed without allowing air to take its place. There are no indications of any leaks, balls have all been maintained at room temperature. I posted this to chemistry because my hypothesis is that there is some sort of diffusion through the ball surface or in to the floating toy contained within. 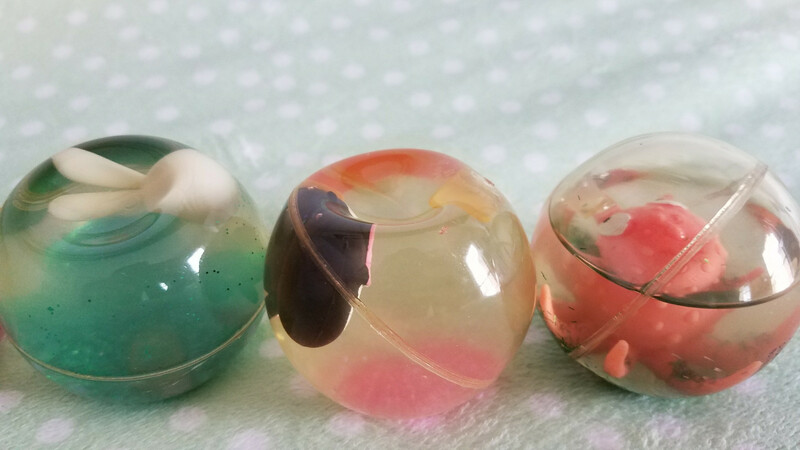 In the case of the ball on the right, the toy inside appears to have a hole so maybe it was originally full of air but the liquid has migrated inside pushing the air out and appearing to lower the water level. Explanation doesn't work for the other balls. There is a general belief that plastics are impermeable, probably because many liquids are stored in plastic containers. This is, however, not correct. Plastics are permeable to water and also to gases. The permeability is low but is not zero and therefore, when very long periods of time are involved, a perceptible change occurs. If absolute impermeability is required, then metals should be used. The process involved is diffusion and depends basically on the type of plastic. The ones containing fluorine (Teflon and the like) are the less permeable and the polyesters the most permeable, probably because they are more polar. What has happened to the plastic balls is that some water has permeated out and in some cases some air has diffused in. Are the balls exactly the same size as when purchased? Perhaps the skin of the ball has expanded by absorption of some of the contents. If this has happened, an indentation could occur even without escape of contents. On the other hand, I have stored aqueous solutions in PETE bottles (from Diet Coke), and over a couple of years, water has evaporated out and the bottles have collapsed a bit.